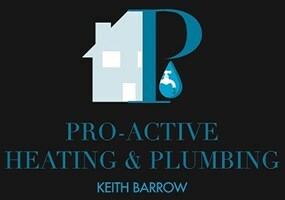 Pro-Active Heating and Plumbing - Central Heating Engineer, Plumber based in Wellingborough, Northamptonshire. Your local heating and plumbing experts with 25 years' experience. We offer a 10 year guarantee on every new gas boiler we install. If you need to replace your oil boiler, we have a boiler ideal for heating your home. We understand having a reliable engineer on hand who responds quickly is essential in managing busy family life. If your current boiler has broken down we are able to repair all makes of boilers. Although, we would recommend booking our regular annual boiler servicing to help avoid the inconvenience of a boiler breakdown. You can even change your radiator central heating system for some under floor heating for efficient heating in every room. We help you achieve the home you want and can completely redesign and install for you, your ideal bathroom, shower room or wet room to be both luxurious and practical including heated towel rails. Our team are highly skilled "Gas Safe" registered trade professionals with the latest know how and take pride in a job well done. Call us today on 01604 811515 or get an instant online boiler quote. i do it all including making the tea, I love my job , we make people happy.